Viva Industrial Trust reported on Monday that its net property income rose 3.3 percent on-year in the second quarter to S$20.88 million amid higher rental income. Gross revenue for the quarter ended 30 June was S$28.68 million, up 3.9 percent on-year, it said in a filing to SGX before the market open on Monday. The boost to gross revenue was due to a higher rental and other income contributions from Viva Business Park (VBP), UE BizHub EAST (UEBH) and light industrial property Jackson Square (JS), partially offset by a lower rental contribution from 11 Ubi Road 1, mainly on the reversal of recognition adjustments, it said. 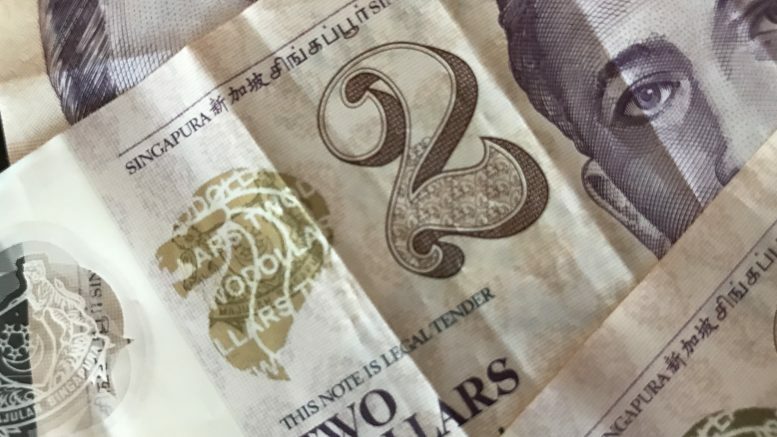 The distribution per stapled security, or DPS, was 1.902 Singapore cents, up from 1.861 Singapore cents in the year-earlier period, Viva Industrial Trust’s manager said in the filing. The trust said Singapore tax authorities retroactively granted tax transparency treatment to rental support agreements for UEBH and JS, effective from the beginning of 2014. Viva Industrial Trust recognized a net income tax credit of S$4.96 million in the second quarter, which resulted in S$4.46 million in distributable income, half of which was included in the second quarter distribution, with the other half to be included in the next distribution, it said. The trust pointed toward operational improvements in the quarter. “The REIT manager successfully signed a 5+5 year master lease agreement with Mauser Singapore for 81 Tuas Bay Drive before the existing lease expires on 31 May 2019. This mitigates master lease expiry risk in the portfolio with no near-term master lease expiry until FY2021,” Viva Industrial Trust said in the filing. It noted that more than 44 percent of the leases due for renewal in the current financial year were renewed in the first half, with an overall positive rental reversion of 2.3 percent. Teledirect Pte. was added to the trust’s top-10 tenants list, operating a call center in VBP and occupying 67,000 square feet of space, it noted, adding that VBP’s occupancy at the end of the quarter was 81 percent, its highest so far. The trust’s overall portfolio occupancy also rose to a new high of 92 percent, it said. For the first half, net property income was up 3.4 percent on-year at S$41.93 million, while gross revenue increased 4.3 percent on-year to S$57.37 million, it said. Viva Industrial Trust noted its extraordinary general meeting to seek stapled security-holders’ approval for its proposed merger with ESR REIT will be held on 31 August. This article was originally published on Monday, 13 August 2018 at 9:13 A.M. SGT; it has since been updated to include the income tax credit.